Hi everyone, happy mother's day! I wanted to talk about my mom a bit today. My mother is very special among the women, she doesn't like cosmetics, make-ups nor any clothing. She's, eh, a "man". She's not interested in nail designs and anything related to it. I know that she probably won't see this post, but I just want to say thank you for all those years. 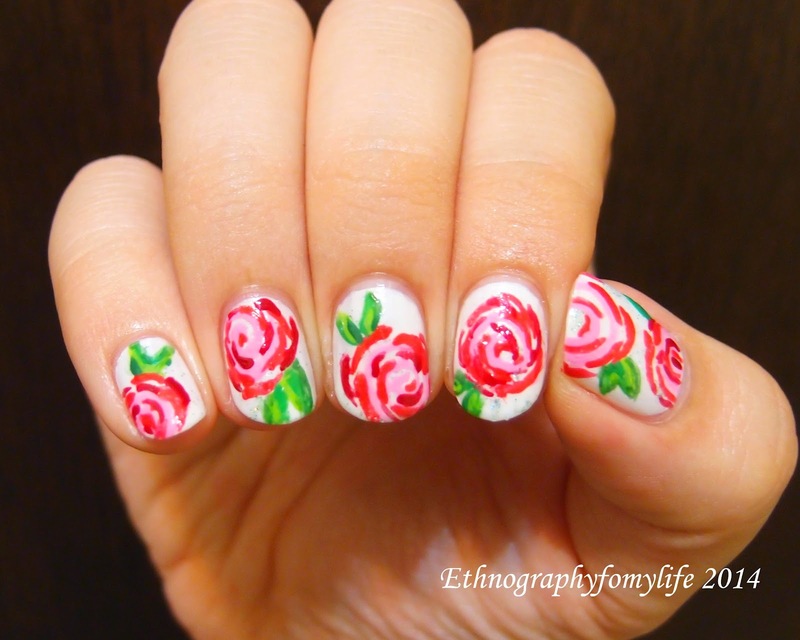 This manicure is dedicated for mom, as the red presents the mom's love. I tapped the newest glitter, E-N@il 2014 member's birthday gift, Grass of Angel on the white first. And then, I used three red/pink colors to layer the flowers, and another three greens to make up the leaves. 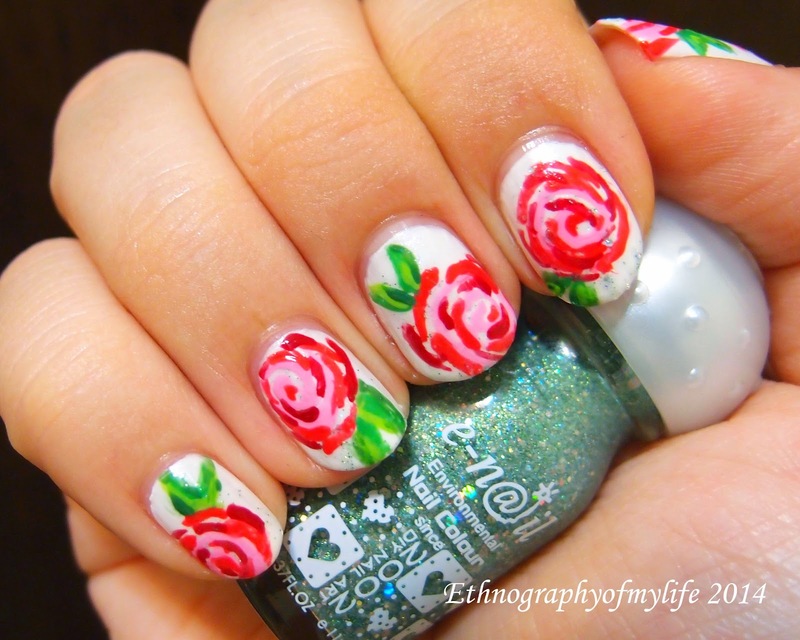 It's a very free nail art, and doesn't required neat details. Best, all the colors are interchangeable and are easy to spot in anyone's collection. However, the beauty is just beyond the words. I made a mistake on my thumb, that I forgot to paint the deep red on one of the flowers. Still, I guess that it's not very noticeable (?) Anyway, happy mother's day again and hope everyone has spent great time with family, and especially mom!